Arabic Calligraphy is a multi-faceted diamond, illuminated by rays from distinct periods, lands and artists, all united by the script of the Quran. The earliest version of this script which was first used to write the Quran was void from dots or accents. As time passed and Islam welcomed a plethora of scholars and artisans, Arabic calligraphy blossomed from its roots creating the diverse forms of calligraphy which exist today, all exquisite in their own forms. As modern-day designers are incorporating Arabic calligraphy in their logo designs and web designs, we should know more about this great art and its types. Basically, the initial form of script, kufi, had to be elaborated as non-Arabs entered Islam. Attributing to this point, The Naskh script replaced the kufi around the 10th century making the elegant, cursive design we know today, a basic means of Arabic script. Let’s take a closer look at the different and most popular variations in Arabic calligraphy design. 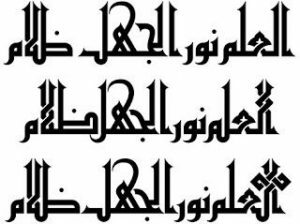 As mentioned, this is the oldest form of Arabic calligraphy known to people today. It was initially found carved in stone structures showing the firm, staunch roots of the Arabic language. Developed in Iraq, its name is derived from one of its major cities, Kufa. For this reason, it can also be seen sported on the Iraqi flag. Being one of the staples in Islamic architecture, it is used in almost all mosques in Egypt, Spain, and North Africa for inscriptions of qur’anic ayah. The naskh script stood out and evolved because of its combination of beauty and readability. It consists of a thin line and wide letter, which makes it easier to read. 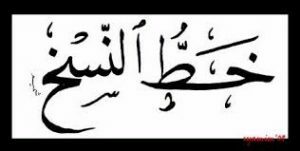 The word naskh literally means ‘to copy’, this is because it was used to impart modes of knowledge, especially the Quran through its scripture. Due to its immense popularity, you will usually see this form of Arabic calligraphy prevailing on computer fonts and typefaces. Arabic website design companies in Dubai, also incorporate this version of Arabic calligraphy in graphic designing through their Arabic calligraphy services. 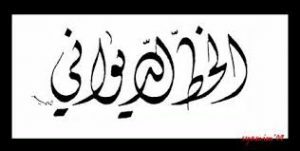 The thuluth script became popular in Arabic calligraphy art due to its longhand and elegant appearance. Also, the ‘Harakat’ or ‘Eraab’ placed over each alphabet in the script are placed a little far from the letters which leave good room for creativity and decorative enhancements. Arabic website design companies in the UAE, use this script graphically to produce amazing Arabic calligraphy art. You can see some examples in Arabic calligraphy portfolios for these companies. This script is ablaze with creativity and allure through its unique markings and effortless aura. Developed in the reign of the Ottoman Turks, this complex script is complex and difficult to read, which sets it apart from other scripts. In addition to that, it consists of letters entwining with each other, providing room for creativity, shaping, and enhancements. 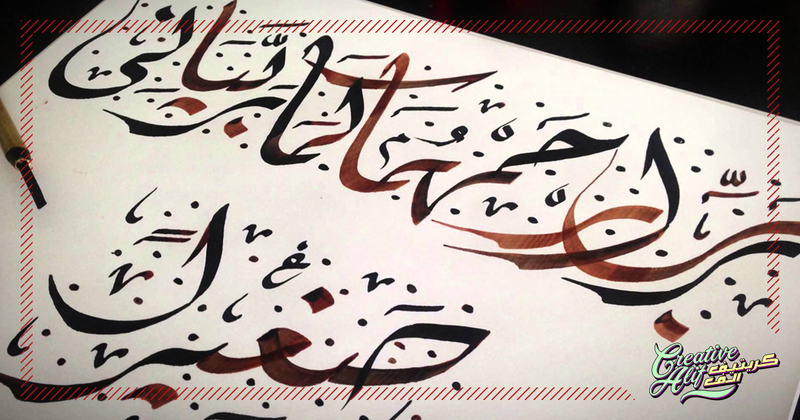 It does not end here as the many faces of Arabic Calligraphy are existing in numerous forms. Historians have the names and the scripts but are rarely able to point out exactly which name refers to which sample. Even with that, Arabic Calligraphy has a growing market today in modern contemporary and graphic design. It’s being used for tattoos, amulets, home design pieces, decorative items, and Arabic logo designs. If you wish to witness professional artists work with these amazing variations of the best Arabic calligraphy for your own, customized project, visit creativealif.com.